AeroMobil has been around for five years, pursuing the dream of building a functional and (somewhat) practical flying car. Its third-gen prototype was revealed last October, and today at SXSW, AeroMobil CEO Juraj Vaculik revealed a bit more about the company's past and future and the challenges that remain to go from prototypes to fully fledged consumer vehicles - which the company plans to accomplish in 2017. 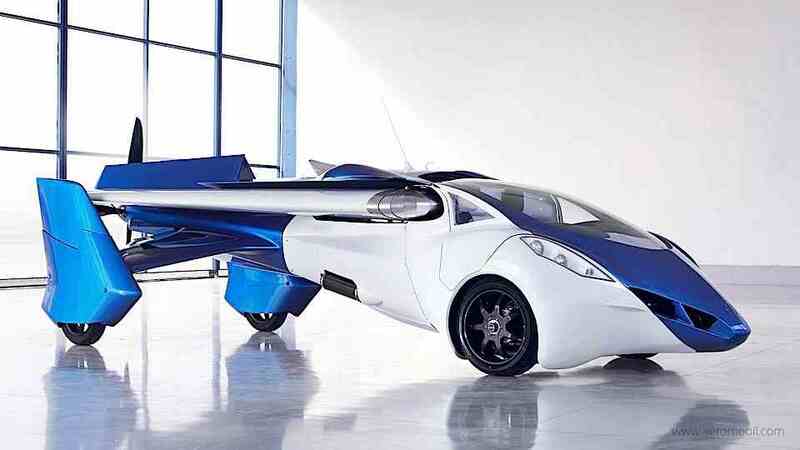 Vaculik and his co-founder Stefan Klein's dream of building flying cars wasn't simply a result of wishing to free their cars from the bonds of earth. As natives of what is the present-day Slovak Republic, they were motivated by a desire to escape the oppression of the then-communist government of Czechoslovakia. Of course, the Iron Curtain fell in that country 25 years ago, but the dream of driving and flying in the same vehicle remained. While political restrictions on travel are no longer such an issue, Vaculik still sees the world's drivers and air travelers restricted by other bottlenecks: traffic jams, inefficient air travel (particularly for trips under 400 miles), and a lack of infrastructure for places where people want to go. Naturally, he feels flying cars can alleviate such issues. "We need to move traffic from a 2D space to a 3D space." To do so, there are some daunting technical, financial and regulatory hurdles to clear, plus additional infrastructure to accommodate the forthcoming flying hordes. First up, the construction of the car itself. AeroMobile is still searching for the right components that will keep the car light enough for flight, but sturdy enough to pass stringent governmental crash and safety requirements. Vaculik expects that AeroMobil to solve those problems in two years. Super lightweight and strong materials don't come cheap, by the way -- Vaculik estimates that the initial consumer version will cost at least a couple hundred thousand euros. As for money and governmental approval, Vaculik assured the audience that AeroMobil has strong EU support, both in terms of getting the vehicle certified for operation under its regulatory scheme and getting public funding to help with R&D and production costs. 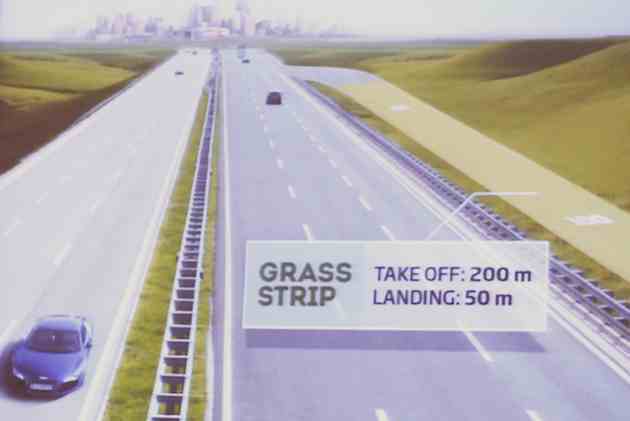 Lastly, Vaculik said that, since his flying cars can utilize grass (as opposed to paved) landing strips and will need only 650 feet to take off and land, it'll be easy to carve them out next to highways and autobahns. AeroMobil's first offering will necessarily be aimed at affluent enthusiasts. The company is taking a page from Tesla's playbook, first making a limited number of high-end "flying roadsters" to build the brand. These carbon fiber two-seaters will fit into existing regulatory schemes as light sport aircraft (meaning you need a special license to operate it), pack Garmin avionics, two-axis autopilot and have a range of around 430 miles. The people's flying car (which is so far off that Vaculik wouldn't speculate as to its ETA), will be a hybrid, seat four and have twice the range of the roadster. Oh, and it'll be fully autonomous, which means an entirely new regulatory category will have to be created for it. At which point I also assume AeroMobil will have to develop a massive marketing campaign to get people comfy with the idea of flying without a pilot behind the controls.